A few years back my father went to New Zealand and traveled through the whole country with his bicycle. I admire him for that and many other journeys he made solely with his two wheels. From this trip, he brought some seeds with him such as the New Zealand Spinach Seeds. Two years later you can see a big part of our garden is full of it. 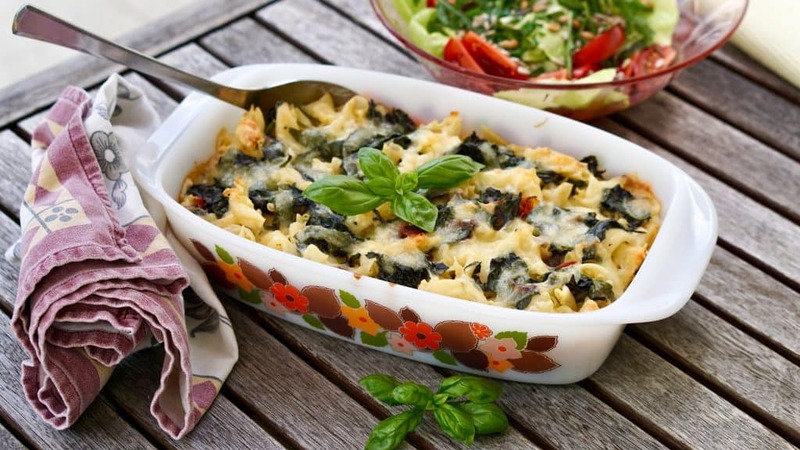 Its harvest season and we created an easy and fast Gratin recipe with the spinach. Only 5 Ingredients are needed to make this Vitamin bomb in the oven. If you don´t have to chance to get some New Zealand Spinach you may of course use some Baby spinach instead. But I can tell the taste differs and today we prefer the New Zealand Spinach over the European one. Read more about it in the description below. New Zealand spinach is low in calories, high in fiber, and has zero fat. One hundred of New Zealand spinach contains 12 calories and 1.4 grams of fiber. The daily recommended fiber intake for men and women are 38 grams and 25 grams, respectively. Fiber aids in digestion prevents constipation and reduces the risk of heart disease. Adequate vitamin C intake does not only improve the immune system, but can also create and maintain collagen, an essential protein found in hair and skin. 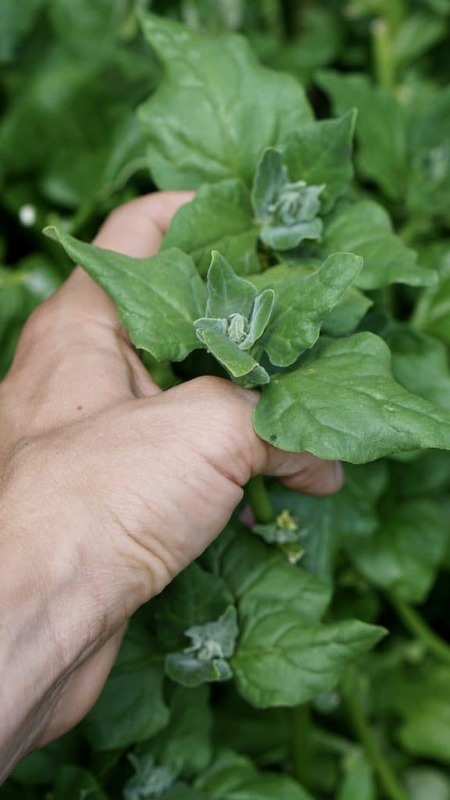 Also, New Zealand spinach contains 49 percent of recommended vitamin A per cup. Vitamin A has been known to keep the hair moisturized through increased sebum production. The green wonder has a high content of magnesium, which is a mineral that is directly linked to improving the quality, duration, and tranquility of sleep. 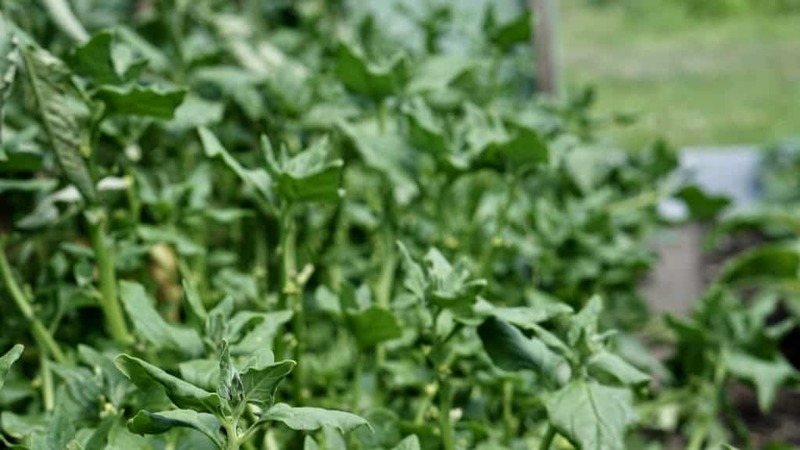 New Zealand spinach also helps regulate the metabolism, to help reduce sleep disorders and the occurrence of insomnia. Wash the New Zealand spinach with cold water and stir 3 minutes it in a heated pan together with the champignons and the onions in Olive oil. Add the spinach as the last to keep it as fresh as possible – only for 30 seconds. Add the soya cream and vegetable stock as well as lemon peel, nutmeg, salt, and pepper to the pan cook it for 1 more minute and take aside. Preheat the oven – 200 degrees circulating air. Cook the pasta of your choice for half the given time on the packaging instructions (very al dente). Shake with cold water. 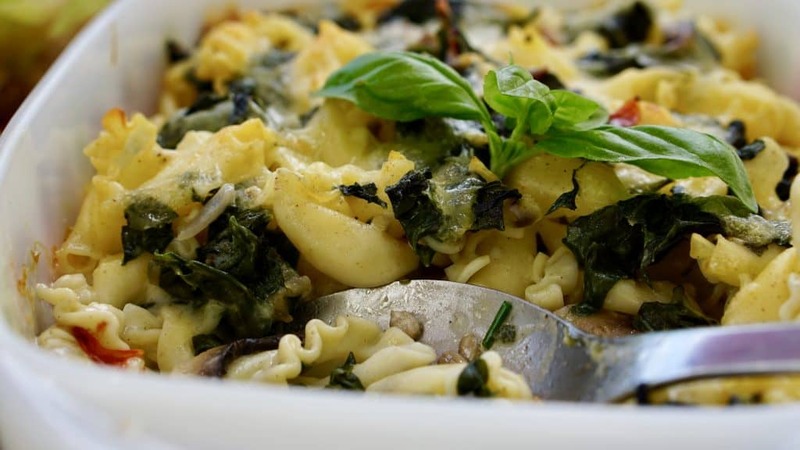 Put the pasta and vegetables with sauce in a baking dish and top it with mozzarella slices. Cook the gratin for 20 minutes until golden brown crust forms. Triza from Borneo [Selingan Island, perhaps forgotten by now]. 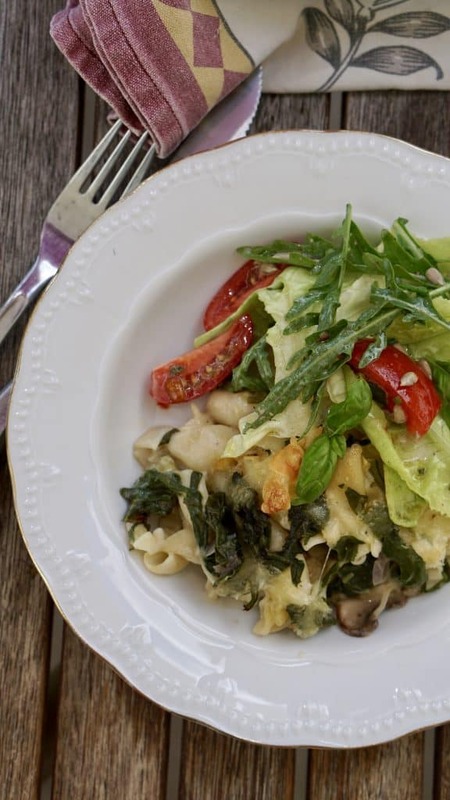 Cool blog, will be trying one of these recipes in the future – NZ spinach gratin looks particulary easy/delicious. You were right, Mataking was awesome – swam with two turtles within a few a few ft! Couldn’t find you for dinner at the waterfront, please tell Kili [hope I spelled that correctly] I said hello. The recycling system in California [trading containers for money] is called the CA recycle refund. Of course, I remember you 🙂 Thank you for your message and that you like our recipe creations. Let us know whenever you tried one of the recipes if everything worked out well. I will tell Kili your regards, he will be happy about that for sure. Thanks about the CA recycling information as well I will go deeper into that within our Truefoods Recycle, Reuse, Less Waste research. Hope to see you in Cali one day.